If you could dress up your tank any which way, how would you do it? Something historically accurate or all-out wacky? Spark that creative flame, because our latest forum contest challenges you to make a custom skin for any tank in your Garage and post it for the chance to win a T26E5 Patriot or 1,000! Please note: This video covers an older version of World of Tanks before the “HD” client setting was introduced. All the steps should work for an SD client, but HD is a bit different – read on for more. Creating a skin file for the HD version is similar to the SD client: you take the HD skin file and place it in the same folder you created for the SD versions of the files (as covered in the video). Notice that the names of the files are different and there are two of each. Make sure you edit the HD one and save over both. It's very important to save both the files with your edited skin for it to work on your tank. 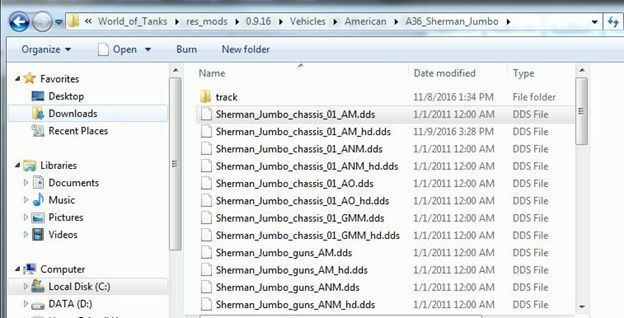 The names of the files must not change, and you must have an HD and SD version of the file(s), at least in name only – the images can be identical, including file size, but must specify each version. Entries will be judged on creativity, quality, complexity, overall coolness, etc. The image must comply with the moral, ethical, and legal standards, as well as with the Forum rules. Wargaming gains exclusive rights to the contest image when you post it on the forum, as outlined in the “10. User Generated Content” section of the Terms of Service.